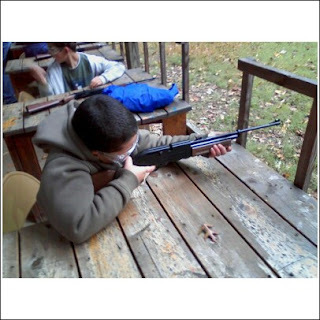 Cityschooling: Cub Scout Camp, YEAH! The boys just got back from camping with the scouts. They left on Friday afternoon and got back tonight. They normally stay til Sunday morning, but both W and J have CCD in the morning. W had such a great time. Friday night was barbecue, roasted marshmallows, and running around with friends. Today was a day full of activities. 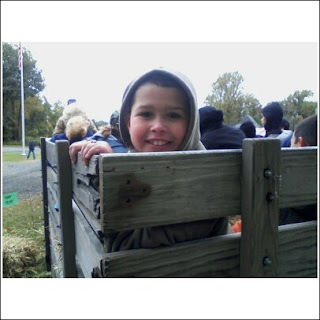 W did some BB gun shooting, went on a hayride, played on a big pirate ship, decorated pumpkins, and played a ton of games. It was supposed to be a rainy weekend, but it was perfect.